To me looking good always had to do with being confident in my own clothes. Everyone says it and everyone can truly feel it. Because there is nothing like the confidence you get from wearing your favorite sweater or your favorite pair of trousers that you know makes you look amazing! This is a rule that really applies to any clothing piece, but it the most important when it comes to a suit. A man needs to make sure that the suit is neither too baggy or too tight, instead it needs to fit just perfectly. Reading this may not sound so hard, but when you put into consideration all the factors that make a nicely fitted suit such as shoulders, waist, sleeve, trousers and jacket length ( don’t forget the jacket length! ), it sure does make a very complicated purchase. Personally, to save myself from the anxiety and the endless trips to the store that comes along with buying a suit, I always make sure to check for the “ Made In Italy” tag as you can’t really go wrong with Italian craftsmanship. So as it goes, if the most stylish gentleman is trusting the brand, I couldn’t help and have a closer look at its collections. An item that I instantly fell in love with is the Kei Blazer, one of their most iconic pieces. 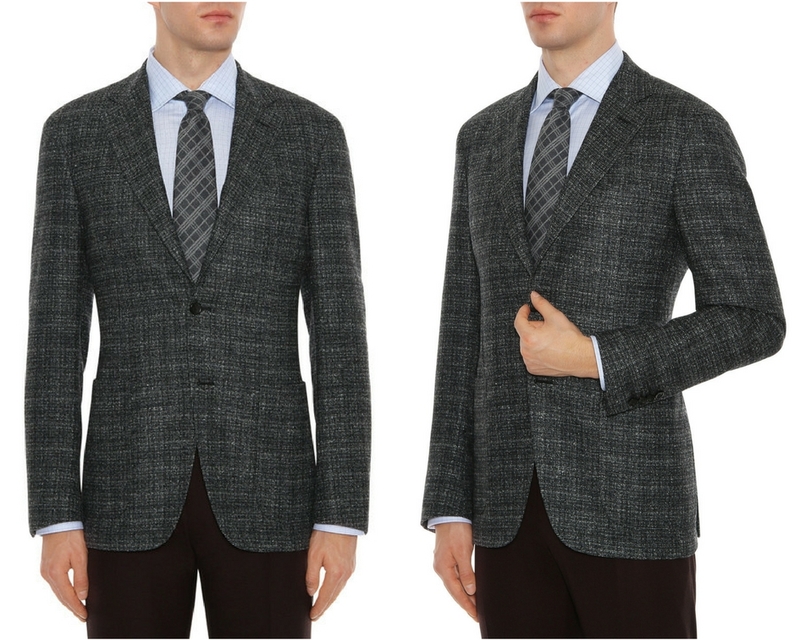 The blazer comes in a luxuriously wool-linen-silk blend and has a soft silhouette giving it a very relaxed looked so if you are looking for a structured but not too formal jacket, this one is for you. It is also perfect for most seasons as you can either layer it up in winter or wear it on its own in spring! Canali’s SS18 seemed to be made for me in their mind. The collection called The Impeccable Traveler, is an homage to the man who is constantly on the move, whether for business or pleasure – or for business and pleasure – and to the continuous discovery that his journeys bring. This collection completely resonates with my personal style, If you have been following me for a while you may already know how I love to stick to this classic yet current looks so it is no surprise that I am eyeing so many pieces for my personal collection already! 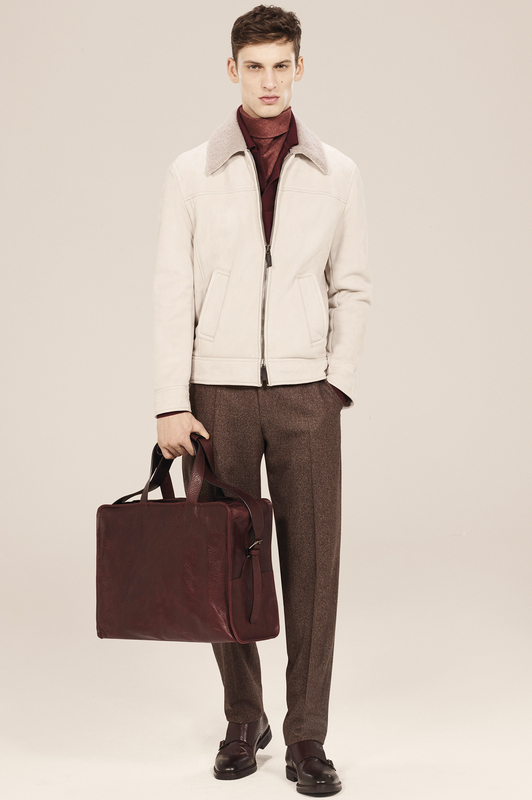 Another exciting thing they introduced this season is Impeccabile 2.0, a fabric created exclusively for Canali, which, thanks to internal membranes, becomes completely water-proof and insulated. This innovative material is found in suits, blazers and formal pants in addition to sportswear styles and it makes the perfect fabric for the unreliable British weather and my unwillingness of carrying an umbrella! The timeless designs and luxury fabrics of Canali’s newest collection have undoubtedly shown us the true Italian passion for style. 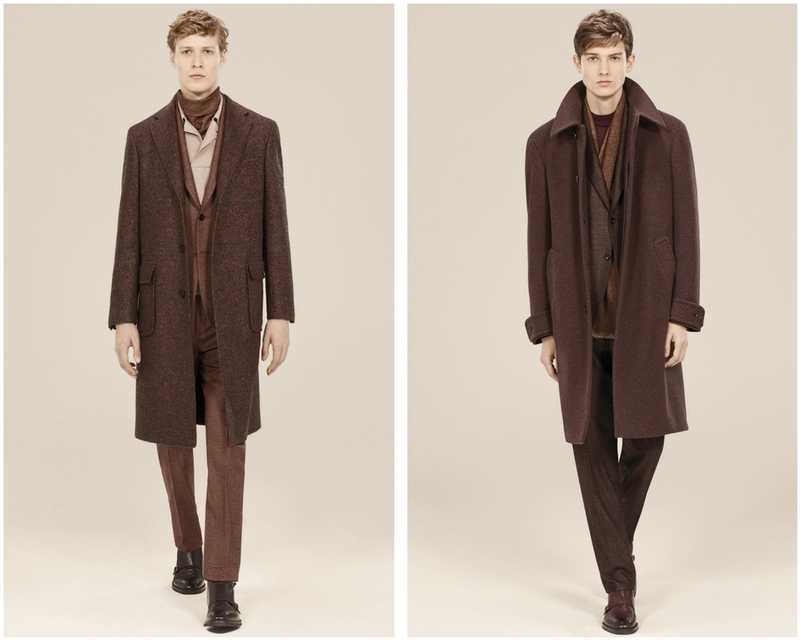 I can’t believe I missed out on the brand for this long and I couldn’t be more excited for the coming season as the newly appointed Hyun-Wook Lee is set to focus his eclectic talent on the brand while still remaining loyal to the values that have defined Canali for more than 80 years. Disclaimer: This is a sponsored post by Canali, however all opinions are my own.